Okay, so this isn’t really hummus. There’s no chickpeas, no tahini. 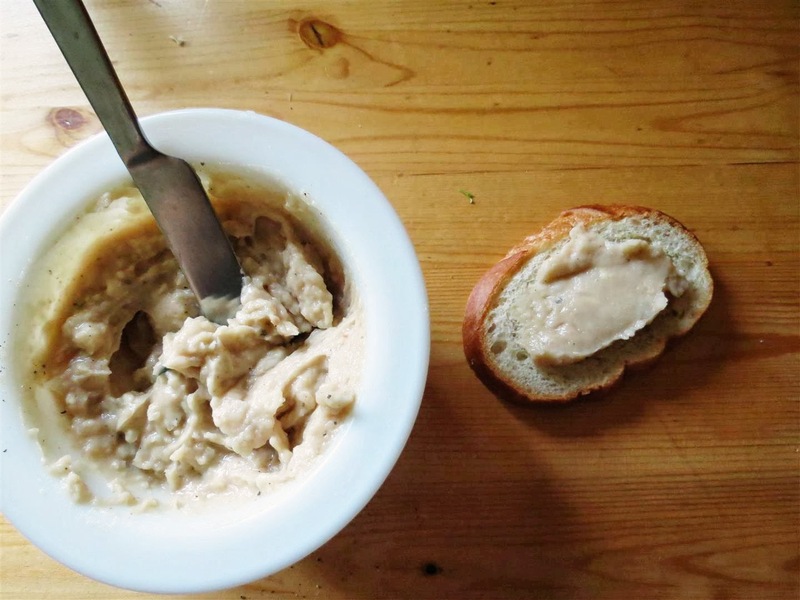 It’s more of a white bean mash, but that’s fine by me. I came up with this recipe in 2007. Yes, I remember the year. It was in Wyoming, and I wanted to try hummus, which I had never had before. No local stores carried tahini, chickpeas were stupid expensive, and I said to hell with it and made up something of my own. Therefore. 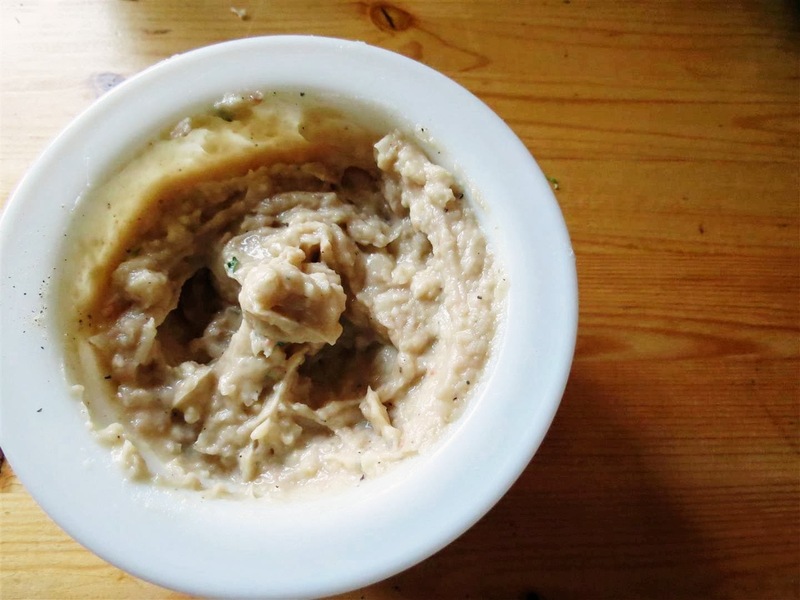 A white bean hummus recipe. And it is so yummy. These days I use beans that I can at home, but any white bean will do. 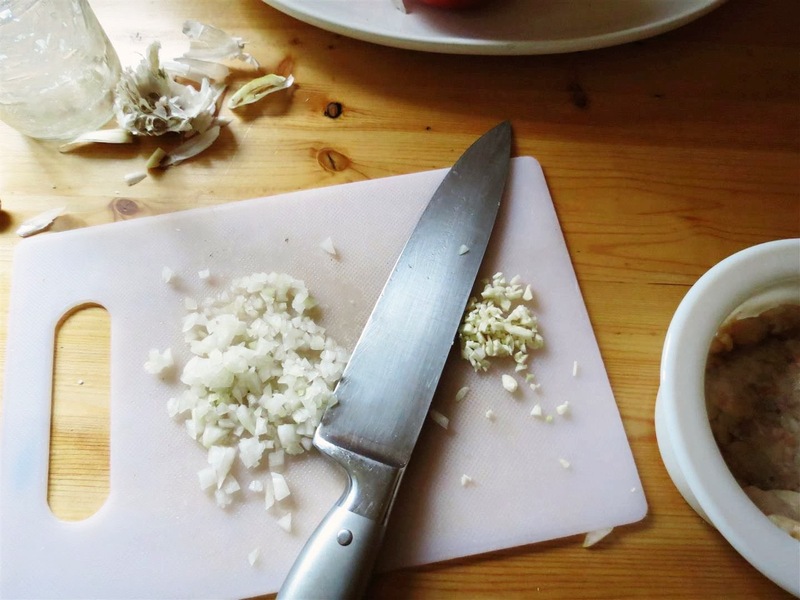 Raw onion and garlic add tons of flavor. You will have Dragon Breath afterwards, but it’s worth it. Cumin and thyme add even more flavor. 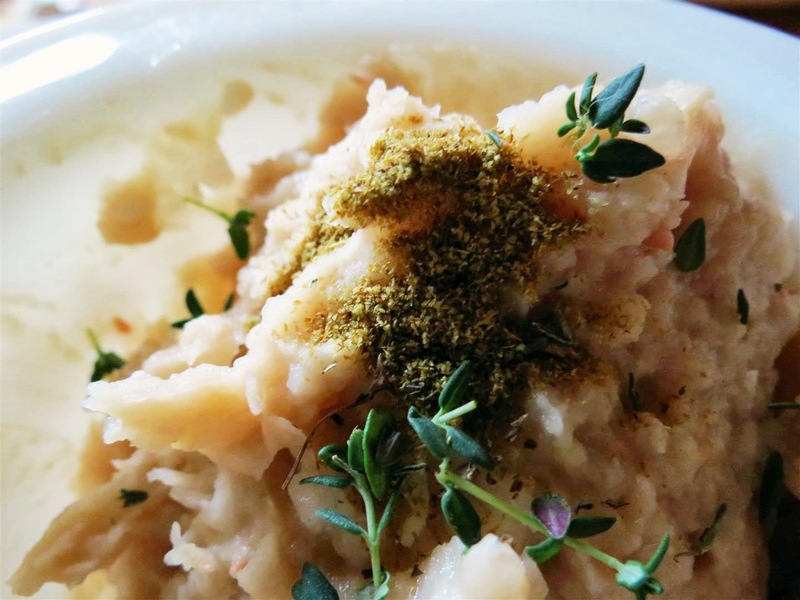 It’s garlicky, smoky from the cumin, and smooth and creamy. Trust me, slather this on a piece of good bread, and top it with a piece of roasted chicken. Heaven. It’s also good spread on a tortilla in a ham and cheese quesadilla. 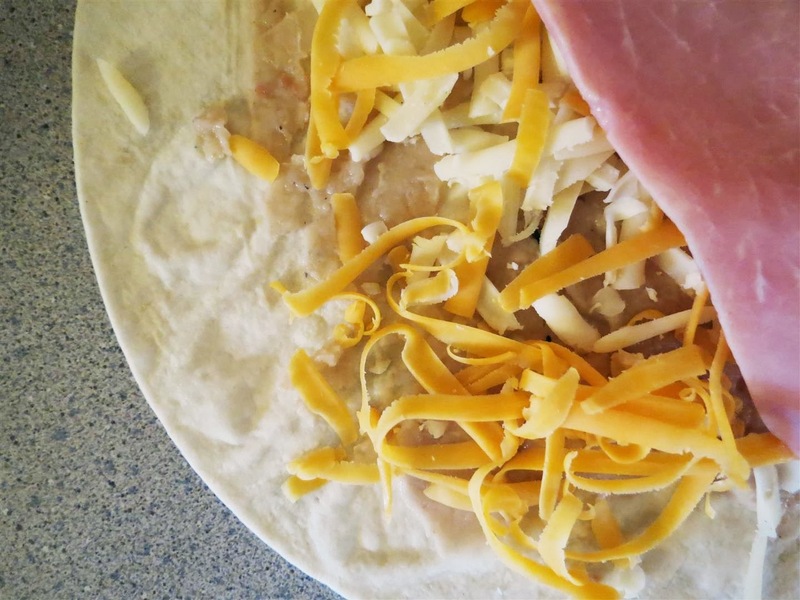 It sort of melts from the heat, and mixes with the cheese and the flavors of the ham. Seriously, make it. Now! Go! Place the drained beans in a bowl, mash with a fork until smooth. Add the garlic, onion, thyme, lemon juice, and cumin, mix again. Season to taste with salt and pepper. Add the olive oil a tablespoon at a time until the mash becomes smooth and creamy. Devour immediately or let sit, covered, in the fridge for a few hours to let the flavors combine. Previous Post 1953 Shoulderette Finished!